I’ve never been a big fan of cloud based applications or cloud based programming as a general rule, because I lose control over what I’m working on, it’s more difficult to use those services when I’m traveling with spotty connectivity, etc. 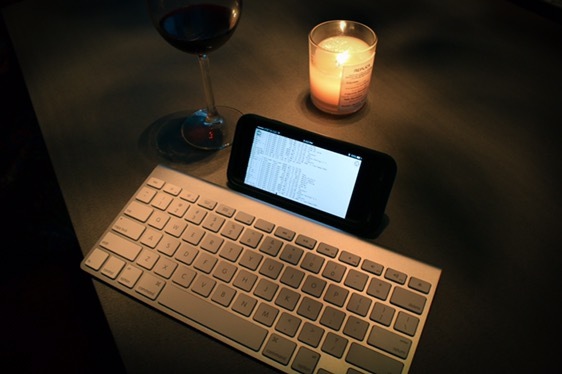 But for the sake of moving down the path of a phone desktop replacement, it’s important to get at least vaguely comfortable with the idea that if you need to do some programming work, you’re probably not going to want to be doing that on your phone. I’ll talk about doing dev-work on the phone itself in a bit, but for now, let’s talk about cloud solutions. Over the last week I’ve slowly gotten myself used to connecting through iSSH to remote Amazon Elastic Cloud Computing (EC2) servers to test various features, develop simple applications and general ease of use. I’ll dissect iSSH at a later date as well, but I ran into other interesting issues almost immediately. Firstly, as I said in a previous post, I use Vi (or Vim) as an online editor fairly regularly, because it makes my life easier. However, there’s a usability feature of the iPhone that gets in the way. If you hit double space on the iPhone it creates a period. If you in Vi a period will do one of two things. It will either write a physical period if you are in editing mode, or it will run the previous command. Yes, whatever thing you just did, it will do it again. So if you were just editing something and you added a word, that word will get added again. Extremely frustrating. If you’ve seen the Silicon Valley episode for spaces verses tabs, you’re probably chuckling to yourself right now, but the reason I use spaces is because terminals are often fixed-width and line wrapping is reduced when you use spaces. 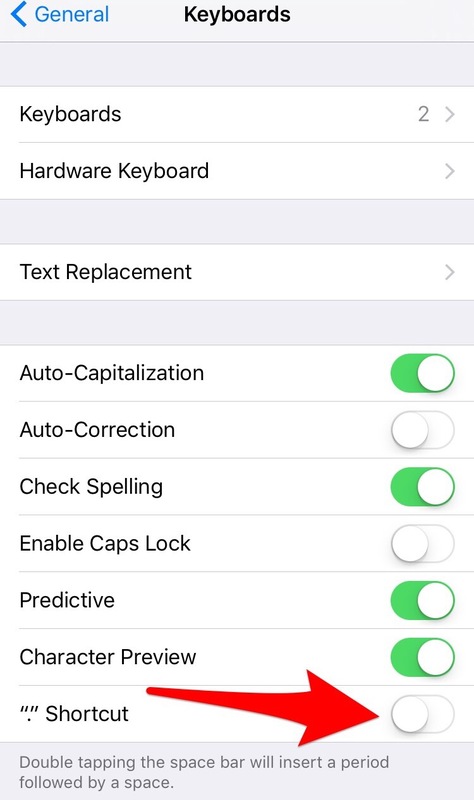 Anyway, without getting into a religious war, on the iPhone it can be overridden by going to Settings – Keyboard – “.” Shortcut and disabling that shortcut checkbox. Ideally something like this would be optional and easy to enable or disable on an app by app basis when a user identifies a problem with their shortcuts. But for now, this workaround does work well, if you are okay disabling this otherwise helpful shortcut for the rest of the applications that need it. Did you already try Serverauditor as SSH-multiplexer? Works fine even with keys and multiple connections and screen. I haven’t! That sounds interesting!